An international team led by neuroscientists at Université de Montréal (UdeM) reports the discovery of a basic molecular mechanism that better helps understand how Lou Gehrig's disease, or amyotrophic lateral sclerosis (ALS), works. 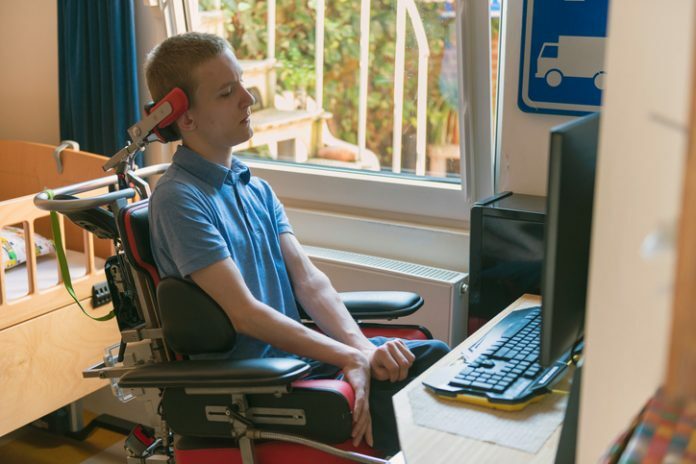 Their finding may eventually lead to new treatments for the debilitating disease, which cripples people by removing the brain's ability to communicate with their muscles, eventually leading to paralysis and early death, according to the scientists. “It's a story of fundamental research about what happens normally in the body's cells and what changes in the context of ALS,” said Jade-Emmanuelle Deshaies, a research associate in neurosciences at the UdeM Hospital Research Centre (CRCHUM) and lead author of the joint Canada–Israel study (“TDP-43 Regulates the Alternative Splicing of hnRNP A1 to Yield an Aggregation-Prone Variant in Amyotrophic Lateral Sclerosis”), published in Brain. “The RNA binding proteins TDP-43 (encoded by TARDBP) and hnRNP A1 (HNRNPA1) are each mutated in certain amyotrophic lateral sclerosis cases and are often mislocalized in cytoplasmic aggregates within motor neurons of affected patients. Cytoplasmic inclusions of TDP-43, which are accompanied by a depletion of nuclear TDP-43, are observed in most amyotrophic lateral sclerosis cases and nearly half of frontotemporal dementia cases. Here, we report that TDP-43 binds HNRNPA1 pre-mRNA and modulates its splicing, and that depletion of nuclear TDP-43 results in increased inclusion of a cassette exon in the HNRNPA1 transcript, and consequently elevated protein levels of an isoform containing an elongated prion-like domain, referred to as hnRNP A1B,” write the investigators. The research began eight years ago when Deshaies and her supervisor, associate professor of neurosciences Christine Vande Velde, Ph.D., started investigating what happens to various molecules when TDP-43, a protein that binds the “messengers” in the cell (RNA) and that is central to ALS pathology, is removed from the nucleus. There are many different versions of RNA, each encoding many different versions of a protein. TDP-43, for one, binds RNA and can change how it is spliced (alternative splicing). Another RNA-binding protein is hnRNP A1, and it gets spliced into two variants, both regulated by TDP-43, which is known to be a major component of cytoplasmic inclusions, which, in turn, are observed in 97% of ALS cases. A parallel development is research into another motor neuron disease, spinal muscular atrophy (SMA). Scientists know that hnRNP A1 plays a role in its progress, controlling the splicing of an important gene called SMN, for survival motor neuron. Dr. Vande Velde and her team don't yet know whether or not the new splice variant they discovered changes SMN levels or function, but they point to a new drug therapy announced last year for SMA that does target the splicing of SMN by hnRNP A1. Developed by scientists at Cold Spring Harbor Laboratory and Ionis Pharmaceuticals, nusinersen was a key development “because they did the type of work we've been doing, which is to understand how a gene is spliced,” said Dr. Vande Velde, noting that this drug is a therapeutic that came out of understanding a molecular mechanism involving alternative splicing.